Solve any mechanical engineering problem quickly and easily with the world's leading engineering handbook Nearly 1800 pages of mechanical engineering facts, figures, standards, and practices, 2000 illustrations, and 900 tables clarifying important mathematical and engineering principle, and the collective wisdom of 160 experts help you answer any analytical, design, and application question you will ever have. Information is well presented and concise; figures and graphs are clear. 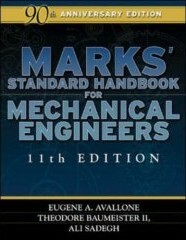 Together with Machinery's Handbook they form the best reference combo a Mechanical Engineer can have. 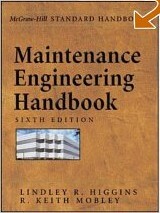 As a mechanical engineer in an industrial plant, I have not found this book to be very helpful at all. 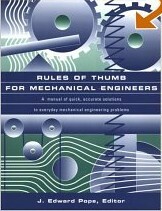 Rules of Thumb for Mechanical Engineers assembles hundreds of shortcuts, calculations, practical how-to methods, and concise background reviews into one convenient volume. You'll find easy-to-read descriptions on fluids, heat transfer, thermodynamics, seals, pumps, and compressors, drivers, gears, and bearings, as well as piping and pressure vessels. Also covers tribology, vibrations, materials, stress and fatigue, instrumentation, and engineering economics. Hundreds of shortcuts, calculations and practical how-to methods in one convenient volume. Fast, accurate answers to design, selection, or performance issues. Rotating machinery is the heart of many industrial operations, but many engineers and technicians perform shaft alignment by guesswork or with limited knowledge of the tools and methods available to accurately and effectively align their machinery. Dedicated chapters now discuss the basics of alignment modeling, each of the five basic alignment methods, and electro-optic methods. It is a practical tool to help avoid costly shutdowns, dangerous failures, and early replacements. Significant new material reflects recent findings on detecting misalignment, machinery movement from offline to running conditions, multiple element drive trains, and specific information on virtually every type of rotating machinery in existence. This handbook delivers all of the techniques, tools, instrumentation, and data needed to model, analyze, monitor, modify, and control vibration, shock, noise, and acoustics. 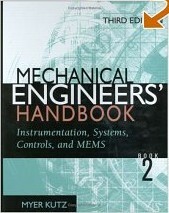 The Handbooks nine sections encompass: fundamentals and analytical techniques; computer techniques, tools, and signal analysis; shock and vibration methodologies; instrumentation and testing; vibration suppression, damping, and control; monitoring and diagnosis; seismic vibration and related regulatory issues; system design, application, and control implementation; and acoustics and noise suppression. Brimming with illustrations, equations, examples, and case studies, the Vibration and Shock Handbook is the most extensive, practical, and comprehensive reference in the field. This comprehensive reference details the technical, chemical, and mechanical aspects of high-temperature refractory composite materials for step-by-step guidance on the selection of the most appropriate system for specific manufacturing processes. The book surveys a wide range of lining system geometries and material combinations and covers a broad range of tests for the determination of the thermal, mechanical, strength, and resistance properties of refractories. With contributions from international specialists with widespread experience in the field, the Refractories Handbook provides examples of refractory lining systems utilized in a range of industries, including glass, cement, and steel. The Energy Management and Conservation Handbook offers expert guidance on the planning and design of green technologies. It focuses on management strategies for better utilization of energy in buildings and industry as well as ways of improving energy efficiency at the end use. It introduces basic methods for designing and sizing cost effective systems and determining whether it is economically efficient to invest in specific energy efficiency or renewable energy projects. It provides guidance for computing measures of economic performance for relatively simple investment choices and the fundamentals for dealing with complex investment decisions. This book defines demand-side management, covers its role in integrated resource planning, and delineates the main elements of its programs. Everyday Engineers must solve some of the most difficult design problems and often with little time and money to spare. It was with this in mind that this book was designed. Mark’s Standard Engineering Calculations For Machine Design offers a detailed treatment of topics in statics, friction, kinematics, dynamics, energy relations, impulse and momentum, systems of particles, variable mass systems, and three-dimensional rigid body analysis. The advanced topics are spherical coordinates, shear modulus tangential unit vector tension, deformable media, & torsion. Calculations for fundamental, advanced, and combined loadings on machine elements. Problem solving techniques and calculations for static and dynamic design, including fatigue and column buckling. The definitive machine design handbook for mechanical engineers, product designers, project engineers, design engineers, and manufacturing engineers covers every aspect of machine construction and operation. The 3rd edition of the Standard Handbook of Machine Design will be redesigned to meet the challenges of a new mechanical engineering age. In addition to adding chapters on structural plastics and adhesives, which are replacing the old nuts bolts and fasteners in design, the author will also update and streamline the remaining chapters. Comprehensive design solutions for topics such as Cams, Gears, Springs, Clutches, Brakes, and Bolted and Welded connections. The latest science, technology, and management solutions for facility maintenance issues. The one reference you can bank on for current answers to virtually any maintenance question, Lindley R. Higgins’ and R. Keith Mobley’s Maintenance Engineering Handbook provides the best of today’s strategies and technologies from the world’s leading experts. Strategies, equipment, techniques, and tips for facilities from industrial plants to residential complexes, institutions, schools, hospitals, and office buildings. Equipment testing and monitoring tools. New maintenance techniques for centrifugal air compressors, centrifugal pumps, and other equipment. Improvements in prevention and prediction. Pump Handbook has been fully revised and updated with the latest developments in pump technology. Packed with 1,150 detailed illustrations and written by a team of over 100 internationally renowned pump experts, this vital tool shows you how to select, purchase, install, operate, maintain, and troubleshoot cutting-edge pumps for all types of uses. State-of-the-art guidance on every aspect of pump theory, design, application, and technology. New sections on centrifugal pump mechanical performance, flow analysis, bearings, adjustable-speed drives, and application to cryogenic LNG services; completely revised sections on pump theory, mechanical seals, intakes and suction piping, gears, and waterhammer; application to pulp and paper mills. 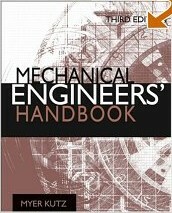 Mechanical Engineers’ Handbook has a long tradition as a single resource of valuable information related to specialty areas in the diverse industries and job functions in which mechanical engineers work. This Instrumentation, Systems, Controls, and MEMS is comprised of two major parts. The first part covers instrumentation, including transducer design, strain gages, flow meters, digital integrated circuits, and issues involved in processing transducer signals and acquiring and displaying data. The second part addresses systems and control, and much more. Control system design, analysis, and performance modification. Design of servoactuators, controllers, and general-purpose control devices. The Handbook of Die Design now adds to its comprehensive coverage new ways to improve processes and reduce costs, from design through manufacturing. Whatever you blank, pierce, punch, bend, form, draw, or otherwise fabricate, this reference gives you the hands-on guidance and use-it-now data you need to do it better, faster, safer. It's loaded with at-a-glance charts, step-by-step guidelines, rules of thumb, and up-to-the-minute techniques for ensuring precision design for every type of sheet metal pressworking. It's the essential on-the-job tool for engineers, designers, and technicians in die design and the pressworking range of operations looking for better evaluations and greater job satisfaction. The Mechanical Systems Design Handbook: Modeling, Measurement, and Control presents a practical overview of basic issues associated with design and control of mechanical systems. From fundamental design principles to control of discrete events, machine tools, and machining operations to polymer processing and precision manufacturing systems. Vibration Control explores a range of topics related to active vibration control, including piezoelectric networks, the boundary control method, and semi-active suspension systems. The Mechanical Systems Design Handbook clearly shows how theory applies to real world challenges and will be a welcomed and valuable addition to your library. The Valve industry has become increasing digital since the publication of the first edition in 1997. Even a casual examination of available smart or intelligent positioners reveals significant differences in design philosophies, on-board intelligence, and application options being employed by manufacturers. The 2nd edition of the Valve Handbook will focus on the new process plant applications for smart valve technology found since 1998. The handbook gives you the expertise to deal with many common problems that reduce valve performance. You'll find a wide range of proven solutions to flashing...checked flow...high velocities.. noise... and other day to day problems. With sectioned-view drawing, photographs and examples it provides practical information. The book takes you through the design, selection, maintenance, and repair of fans used in a wide range of applications and industries, including airfoils...centrifugal fans...mixed-flow fans...roof ventilators...cross-flow blowers...regenerative blowers... and more. You'll find information on fan codes, standards, and specificationsÑplus complete details on fan testing, physical laws affecting fan performance, ventilation requirements, and symbols and conversion factors. The First Comprehensive Guide To All Aspects of Modern Fan Technology Improve your engineering and technical skills with this comprehensive reference on the deisign, selection, maintenance, and repair of fans used in a wide range of applications and industries. Electric Explains how Design for the Environment (SFE) and Life Cycle Engineering (LCE) processes may be integrated into business an dmanufacturing practices. Examines major environmental laws and regulations in the U.S. and Europe, qualitative and quantitative analyses of green design decision variables, and heuristic search programs for a proactive future in ecological improvement. The Mechanical Life Cycle Handbook takes into account each life phase, from raw materials extraction to disposal... emphasizes the minimization of life cycle costs, including end of life costs... evaluates products using Life Cycle Analysis (LCA) and Threshold Inventory Interpretation Method (THM)... and more. The book is a detailed, practical guide and reference to gear technology. The design of all types of gears is covered, from those for small mechanisms to large industrial applications. The presentation is designed for easy reference for those involved in practical gear design, manufacture, applications and problem solving. The text is well illustrated with clear diagrams and photographs. The many tables provide needed reference data in convenient form. 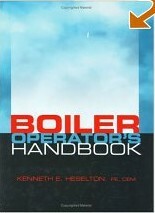 This book was written specifically for boiler plant operators and supervisors who want to learn how to lower plant operating costs, as well as how to operate plants of all types and sizes more wisely. Going beyond the basics of keeping the pressure up, the author explains how to set effective priorities to assure optimum plant operation, including safety, continuity of operation, damage prevention, managing environmental impact, training replacement plant operators, logging and preserving historical data, and operating the plant economically. The book can also serve as an important reference for managers and superintendents who are interested in reducing a facility's operating expense. The Handbook of Heating, Ventilation, and Air Conditioning does combines practice and theory, systems and control, and the latest methods and technologies to provide, in one volume, all of the modern design and operation information needed by HVAC engineers. The Handbook of Heating, Ventilation, and Air Conditioning will stay up-to-date while other resources become outmoded and go through lengthy revision and reprint processes. ncludes access to all of the most current information, complete coverage of modern controls and intelligent buildings, and information on solar energy systems and other energy supplies. This book covers how to select parts and materials, predict behavior, control assembly processes, and solve on-the-job problems. It examines key issues affecting bolting in the automotive, pressure vessel, petrochemical, aerospace, and structural steel industries. The editors have successfully created a useful rather than scholarly handbook with chapters written in a straightforward, how-to-do-it manner. Theory is discussed only when necessary and the handbook's logical organization and thorough index enhances its usefulness. The Handbook of Mechanical Alloy Design provides an extensive overview of the effects of alloy compositional design on expected mechanical properties. This reference highlights the design elements that must be considered in risk-based metallurgical design and covers alloy design for a broad range of materials, including the increasingly important powder metal and metal matrix alloys. It discusses the design issues associated with carbon, alloy, and tool steels, microalloyed steels, and more. It discusses the design issues associated with carbon, alloy and tool steels... microalloyed steels... interstitial free steels... aluminum alloys... titanium alloys... magnesium alloys... Ni-based alloys... and copper alloys. Gives a foundation to the four principle facets of thermal design: heat transfer analysis, materials performance, heating and cooling technology, and instrumentation and control. The focus is on providing practical thermal design and development guidance across the spectrum of problem analysis, material applications, equipment specification, and sensor and control selection. This book gives a foundation to four principal facets of thermal design: heat transfer analysis, materials performance, heating and cooling technology and instrumentation and control. 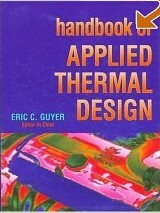 Professionals in thermal design, heat transfer, and mechanical engineering will find this handbook invaluable. It features the latest ISO, ASME, and ANSI-related standards, meter influence quantities for flowmeters, and proposed orifice and nozzle equations. The nine appendices present discussions and proofs, and the generalized properties of liquids and gas. Provides definitive information on selecting, sizing, and performing pipe-flow-rate calculations, using the latest ISO and ANSI standards in both SI and US equivalents. Also presents physical property data, support material for important fluid properties, accuracy estimation and installation requirements for all commonly used flowmeters, guides to meter selection and accuracy, and coverage of linear/differential producers. In ten sections this book describes the principles and technology of Micro Mechanical Systems. introduction to the historical background and the parallels to microelectronics, reviewing the motivation for microsystems, and discussing microphysics and design and the evolution from microcomponents to microsystems. It covers the areas of photolithographic microfabrication, basic concepts of planar processing, materials, and processes. It discusses tribological aspects of microsystems. It covers energy source and power supply methods. Also includes controlling principles and methods of micro mechanical systems and section nine gives examples of microsystems and micromachines.